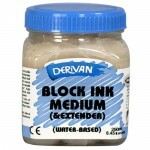 Ink Extender - 250ml Dervian Block Ink has the perfect consistency for lino or wood block printing and transfers and will allow sharp, accurate prints onto paper. It is non-toxic and easy to clean up while still giving the feel of a professional grade oil-based printing ink. 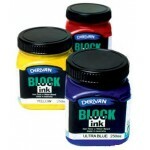 Derivan Block Ink h..
Derivan Block Printing Inks. 250ml. See the Colour Chart here. Please select the colours you require from the Available Options. 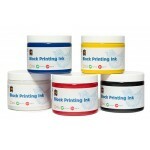 These block printing inks are the perfect consistency for lino and wood block printing, and transfers onto paper. They are non-toxic, water-based, and was..